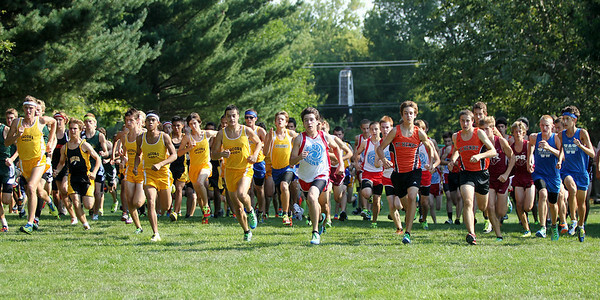 Local high schools took part in a McHenry County Cross Country Meet Saturday, August 25, 2012 at McHenry Township Park in Johnsburg. Mike Greene - mgreene@shawmedia.com Crystal Lake Central's Sami Staples fires her team up before a McHenry County Cross Country Meet Saturday, August 25, 2012 at McHenry Township Park in Johnsburg. Mike Greene - mgreene@shawmedia.com Area boys teams take off at the start of the boys 3 mile competition during a McHenry County Cross Country Meet Saturday, August 25, 2012 at McHenry Township Park in Johnsburg. 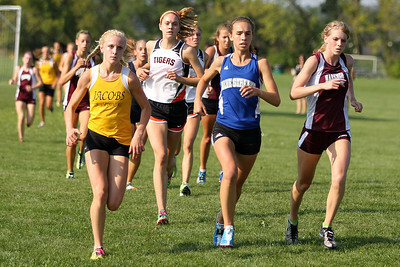 Mike Greene - mgreene@shawmedia.com Jacobs' Lauren Van Vlierbergen (left), Woodstock's Maura Beattie (center) and Marengo's Katie Adams lead the pack during a McHenry County Cross Country Meet Saturday, August 25, 2012 at McHenry Township Park in Johnsburg. 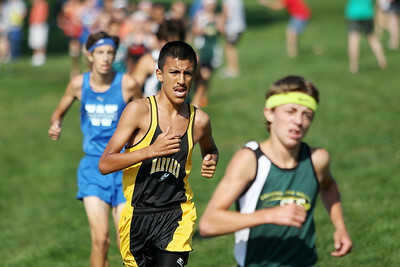 Mike Greene - mgreene@shawmedia.com Harvard's Jorge Pichardo runs in a pack in the boys 3 mile competition during a McHenry County Cross Country Meet Saturday, August 25, 2012 at McHenry Township Park in Johnsburg. 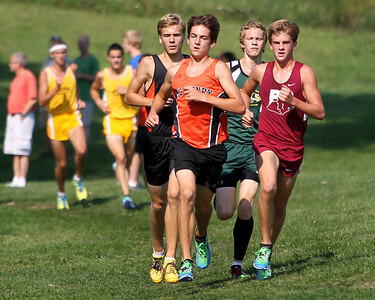 Mike Greene - mgreene@shawmedia.com McHenry's Jesse Reiser (left) and Prairie Ridge's Joe Cowlin lead the way in the boys 3 mile competition during a McHenry County Cross Country Meet Saturday, August 25, 2012 at McHenry Township Park in Johnsburg. 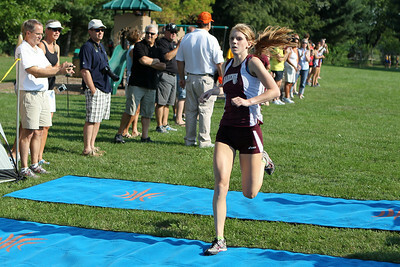 Mike Greene - mgreene@shawmedia.com Marengo's Katie Adams crosses the finish line in first place in the girls 3 mile competition during a McHenry County Cross Country Meet Saturday, August 25, 2012 at McHenry Township Park in Johnsburg. Mike Greene - mgreene@shawmedia.com McHenry's Jesse Reiser runs towards the finish line of the boys 3 mile competition during a McHenry County Cross Country Meet Saturday, August 25, 2012 at McHenry Township Park in Johnsburg. 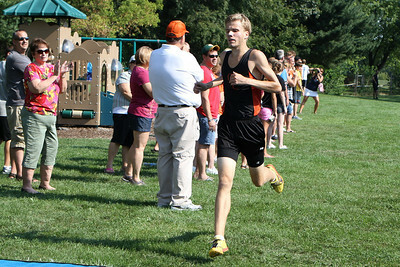 Reiser finished the competition in third place. 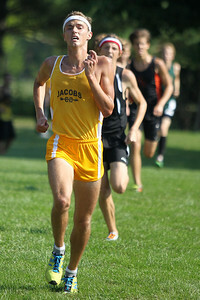 Mike Greene - mgreene@shawmedia.com Jacobs' Ryan Ross runs towards the finish line of the boys 3 mile competition during a McHenry County Cross Country Meet Saturday, August 25, 2012 at McHenry Township Park in Johnsburg. 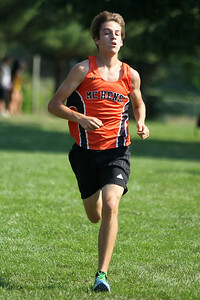 Mike Greene - mgreene@shawmedia.com Crystal Lake Central's Nick Amato crosses the finish line of the boys 3 mile competition during a McHenry County Cross Country Meet Saturday, August 25, 2012 at McHenry Township Park in Johnsburg. 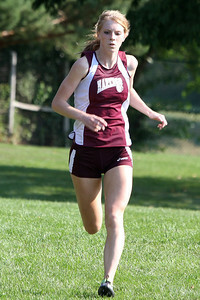 Mike Greene - mgreene@shawmedia.com Marengo's Katie Adams runs alone towards the finish line of the girls 3 mile competition during a McHenry County Cross Country Meet Saturday, August 25, 2012 at McHenry Township Park in Johnsburg. Adams took first place in the competition, finishing 16 seconds quicker than the next competitor. 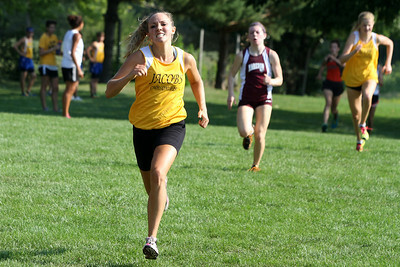 Mike Greene - mgreene@shawmedia.com Jacobs' Sam Baran kicks towards the finish line of the girls 3 mile competition during a McHenry County Cross Country Meet Saturday, August 25, 2012 at McHenry Township Park in Johnsburg. 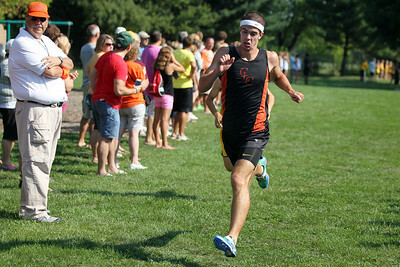 Mike Greene - mgreene@shawmedia.com Crystal Lake Central's Alex Bake crosses the finish line of the boys 3 mile competition during a McHenry County Cross Country Meet Saturday, August 25, 2012 at McHenry Township Park in Johnsburg. Baker took first place in the competition. 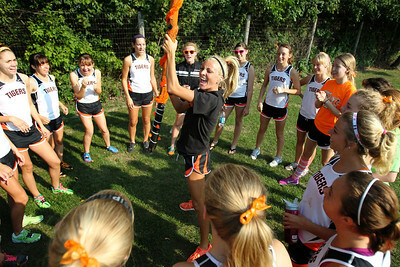 Crystal Lake Central's Sami Staples fires her team up before a McHenry County Cross Country Meet Saturday, August 25, 2012 at McHenry Township Park in Johnsburg.